The city of Orlando is located in the center of the state and it is one of the largest cities in Florida, where come tourists from all over the world. The history of Orlando has radically changed since 1965, when the world-famous cartoonist Walt Disney began to implement his plan to turn 11,000 hectares of vacant state land into a fantasy world. Now entertainment parks are the main attraction of Orlando. The other side of the holiday in Orlando is the National Parks, such as the National Forest of Ocala, which is the most significant in the pine community of the world’s forests. There are rare species of animals and birds in this forest. Orlando is one of the world’s capitals of leisure and entertainment. It is considered the most visited tourist city in the world. In 1998, the city was named “the best place for family rest in North America”. The subtropical climate, all year round summer, well thought out and convenient organization of visitors’ transfer from hotels to parks – all this makes Orlando attractive for recreation with children. In addition, nu car rental Orlando Airport is a chance to make your trip totally perfect. LEGOLAND in Florida, in the town of Winter Haven near Orlando, is a huge theme park of LEGO brand, the second largest after the LEGOLAND in the UK. It was opened in October 15, 2011. More than 50 rides, a botanical garden and an aqua park, shops, cafes and restaurants are located on the territory of 59 hectares. In total, there are six LEGOLAND parks in the world, and the first park was opened in Denmark, where Lego was invented and where it first became the world famous. The amusement park in Florida is created in the image of the first LEGO network parks. LEGOLAND theme park is perfect place for families with 2-12 year-old children, or just for the fans of the famous constructor Lego. Everything in LEGOLAND is connected with Lego blocks and almost everything is made of millions details of this construction set. Here there is a knightly kingdom, “Land of adventure” with entertainment activities in the scenery of fantasy Ancient Egypt, the adventure world of CHIMA, the universe of LEGO Star Wars, a game zone for everyone who loves to build something from the blocks, pirate bay and visual 4D-attraction. In addition, there are the Lego Heroes, Lego Friends, Technic, Lego Factory, ‘The Beginning’ with a panoramic ride ‘Island in the Sky’ – a 360-degree swivel platform, which rises smoothly to a height of 46 meters. The entertainments for small children are the ‘Duplo Village’ and ‘Fun Town’ with carousels, educating attractions and a cinema. Those, who are interested in the LEGOLAND theme park, have repeatedly seen these names of the rides on the boxes of Lego in the toyshops. 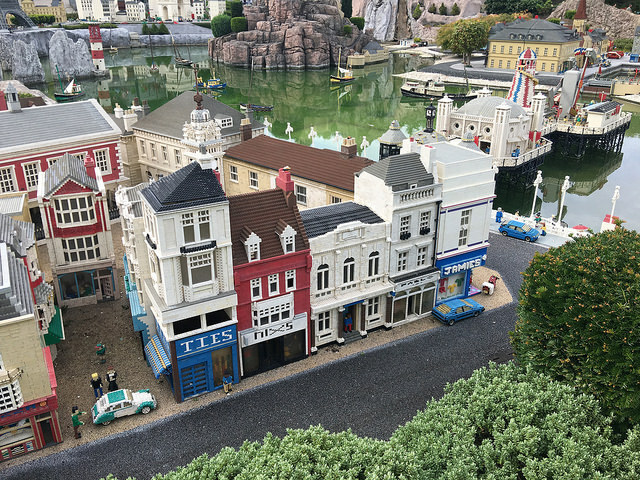 It worth mentioning the impressive Miniland – the park with the main American sights and art objects in miniature, made from Lego and the installation of pirate themes – with men and ships. The characteristic feature of this entertaining complex is a beautiful botanical garden, which has remained from the Cypress Gardens Park, which was at that place. For guests of LEGOLAND Park, there are family restaurants, cafes and shops. Interactive shows are organized repeatedly. On the territory of the park, you will find one of the largest branded shops of the Lego construction sets and the LEGOLAND Florida Resort 4* hotel. It is also possible to order a parking spot ($15 for a car). 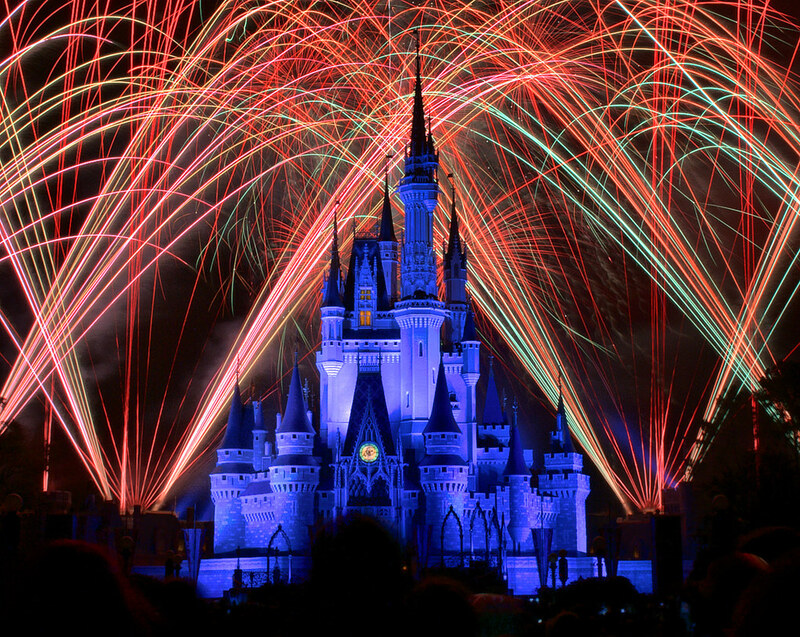 The most world’s famous entertainment area is Walt Disney World Park near Orlando, Florida. Over one hundred square meters is the area of ​​this kingdom of entertainment. The park is not only the most colossal in size, but also the most visited. It has over 15 million visitors a year. “Walt Disney World Resort Center” includes 4 theme parks, 3 entertaining water parks, countless restaurants and shops, 24 specialized hotels in Orlando, cafes and entertainment venues. Usually, you can visit the park from 9.00 to 21.00. A child’s ticket costs about $ 85, but the price depends on the child’s age. This is the cost of one day spent in one theme park. The thematic attractions are the following: Pavilion- attractions of the Metro Goldwin Meyer studio, Epcot Park, Magic Kingdom and the Kingdom of animals. The water parks are “Country of the Rivers”, Typhoon Lagoon and the hurricanes’ Beach. In addition, there is a so-called ‘Pleasure Island’ in Disney’s town. The official statistics for Walt-Disney World are amazing: there are over 60 thousand people working here: 600 of them are artists, 5,000- engineers and the staff, 750 gardeners. The streets and parks are cleaned by the ferry every night. Old carousel horses are decorated with thin sheets of gold, and the paintings are constantly renewed. The history of the amusement park is as well entertaining. This park magically turned Orlando from an ordinary village into a thriving tourist center. In 1965, the animator Walt Disney decided to turn these lands into a kingdom of not ending holiday and magic. The dream of his grandiose project seemed incredible to many people. Unluckily, he never managed to see his creation, as Walt Disney died in 1966. The first attraction was opened in 1971. The cost of the most representative amusement park of the planet was $ 400 million. Many tourists believe that all Disney attractions in other parts of the world are the same, but it is not true. All the original theme parks are in Florida. What you can see in other Disney parks- are only the copies of some of the Florida’s attractions.